In the case of Belle Company, L.L.C., et al., v. U.S. Army Corps of Engineers, decided July 30, 2014, the US Court of Appeals for the Fifth Circuit affirmed the lower court’s decision to dismiss a lawsuit challenging the Corps issuance of a wetlands jurisdictional determination (JD) on several grounds. The New Orleans District Office issued a JD that Belle’s property, intended to be used as a solid waste landfill, contained wetlands subject to the Corps’ Clean Water Act § 404 permitting jurisdiction. Belle argued that this determination reflected an illegal change in administrative policy, and the Corps’ administrative appeals process deprived Bell of its liberty and property interests without due process of law. In the main, however, Belle argued that the precedent established by the US Supreme Court in Sackett v. EPA, 132 S. Ct. 1367 (2012), required the courts to revisit the issue of final agency action for purposes of the judicial review of agency actions. The Sackett case involved an EPA compliance order under the CWA involving consequences that were so serious and final as to warrant pre-enforcement judicial review. 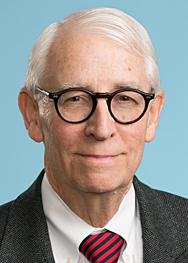 The Fifth Circuit, applying the Sackett decision to the consequences of a Corps’ JD, determined that while the JD represented the consummation of the Corps’ decision-making process as to the question of its jurisdiction under the CWA, it was still “nonfinal and nonreviewable” because it did not, in itself, adversely affect the complainant–it was only a threshold determination. Therefore, it was not a final agency action subject to judicial review at this time. The Fifth Circuit noted that the issuance of a notice of violation by EPA under the Clean Air Act was recently held by a panel of the Fifth Circuit not to be a final agency action in Luminant Generation Co., L.L.C. v. EPA, ___ F.3d ___, Nos. 12-60694, 13-60538, 2014 WL 3037692, at *3 (5th Cir. 2014). It concluded that to hold otherwise in this case would undermine the current complicated and sophisticated system used by the Corps by which property owners can ascertain their rights and obligations before they are subject to any enforcement action under the CWA. The Fifth Circuit also turned aside Belle’s constitutional due process challenge filed under 28 U.S.C. § 1331 because a waiver of sovereign immunity had not been established, and a challenge to the Corps’ use of a new policy regarding the regulatory status of prior converted cropland. Belle argued in this instance that the new policy was formulated by the Jacksonville, Florida office of the Corps without APA-required notice and comment, but the Fifth Circuit noted there was no evidence in the record that the New Orleans office relied on this policy–and the applicable statute of limitations had expired.